Cooked, sliced and seasoned flame grilled chicken breast fillets. 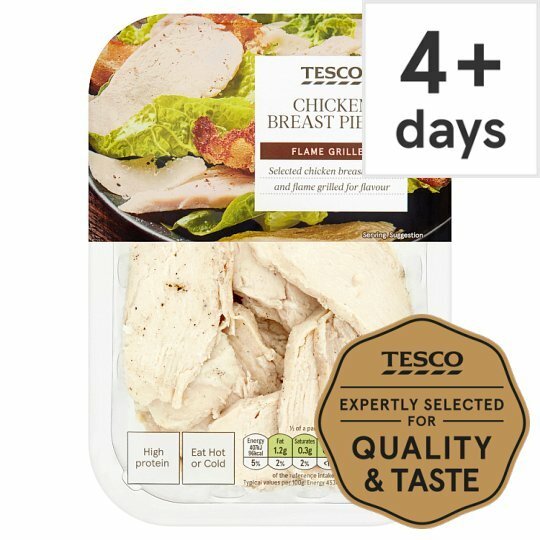 Chicken Breast (84%), Rice Flour, Potato Starch, Cornflour, Stabiliser (Sodium Triphosphate), Salt, Rapeseed Oil. Place on a microwaveable plate and heat on full power.